CEO of Blue Star Foods John Keeler will be speaking at a World Trade Organization (WTO) conference on October 3rd in Geneva, Switzerland. The WTO’s Trade for Sustainable Development Forum is one of the leading global conferences focused on sustainable value chains. Blue Star Foods is a leader in pasteurized crabmeat and has developed a unique API-connected application as a fishery improvement initiative to guarantee the longevity of the Blue Swimming Crab Species. CEO John Keeler will be speaking at this high-level event entitled “Mainstreaming Trade to Attain the Sustainable Development Goals (SDGs).” His speech will discuss Blue Star’s role in sustainable development and the part of technology in the Blue Swimming Crab fishery. The pro-trade conference comes at a time when seafood has been the target of protectionist policies, particularly in the United States. Both the World Trade Organization and Blue Star Foods agree that pro-trade policies are a catalyst for economic development. Blue Star Foods is a vertically integrated seafood processor, employing thousands and producing millions of pounds of seafood products annually. Miami Florida: Tuesday, May 1st, 2018: Blue Star Foods announced today the appointment of Jacob Valleau to the position of Business Development Manager. 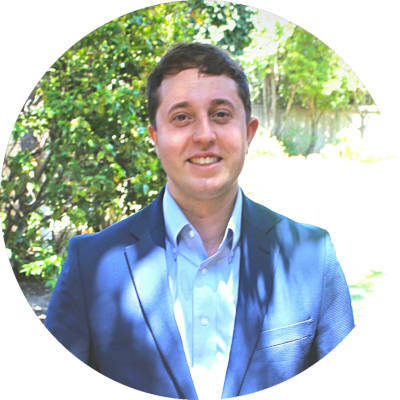 Jacob joins Blue Star Foods in a Hybrid Role role utilizing his previous experience in sustainable seafood & social media content generation. Applied to business development functions to help expand the reach of Blue Star’s enhanced branding initiatives. Jacob was previously with Rubicon Resources, owned by High Liner Foods. Max Christenson: National Director of Marketing, said: We are generating greater awareness of FIP within Blue Swimming Crab, quality vs. price and innovating the premium seafood category. Jacob is a millennial, his thought process within responsible seafood meshes very well with what we have set out to do. He is a fantastic addition to our team. Blue Star Foods is introducing new premium seafood items this year to increase their presence in food service and retail. Carlos Faria: Partner, said: The seafood industry is on the cusp of a renaissance period. Additions of a younger demographic to our team will better prepare us for this rebirth of the global seafood economy. Consumers, especially millennials search for premium and responsible seafood that is focused on sustainability and quality. Blue Star Foods has been innovating the overall company strategy, leading the pace of industry trends, in both food service and retail verticals. John Keeler: CEO/CSO, said: We have realized a significant shift in our business today. We are improving Blue Swimming Crab year over year. As a company, Blue Star Foods is committed to continuous improvement and listening to what our customers demand in all verticals. Hires like Jacob will allow Blue Star to remain relevant and lead change within the global seafood economy. 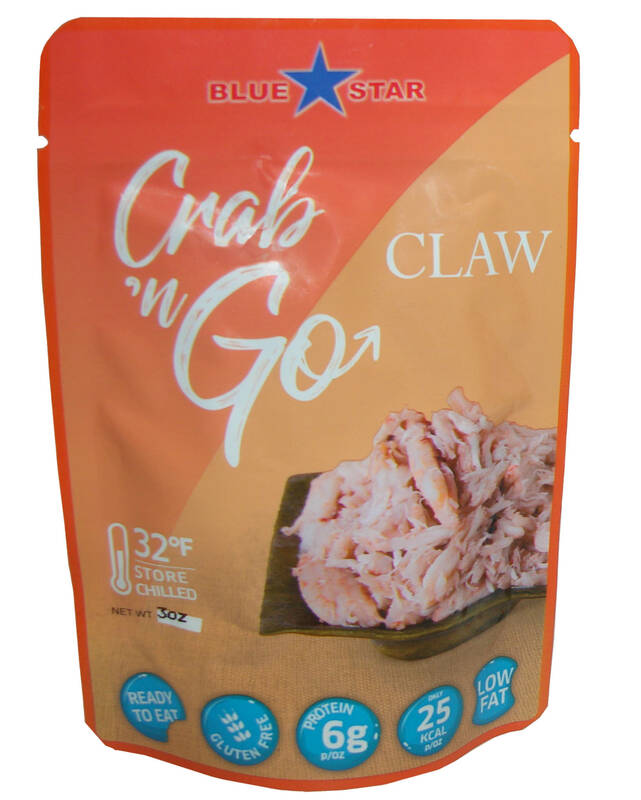 Blue Star Foods, A leader in Pasteurized Blue Swimming Crab, has announced a significant advancement in their product offering. Blue Star has been an overachiever in the category of Pasteurized Blue Swimming Crab, Green Eco-Fresh Packaging, Scan-on Demand Verifiable Traceability and of course the enterprise’s tireless efforts within a multitude of global fishery improvement projects. Today, we look at market verticals for food products and where the trends have been going. Today’s consumers are busier than ever. Coupled with the healthier and more active lifestyle mindset of a growing majority of the millennial demographic leads us down the path of Blue Star’s vision. 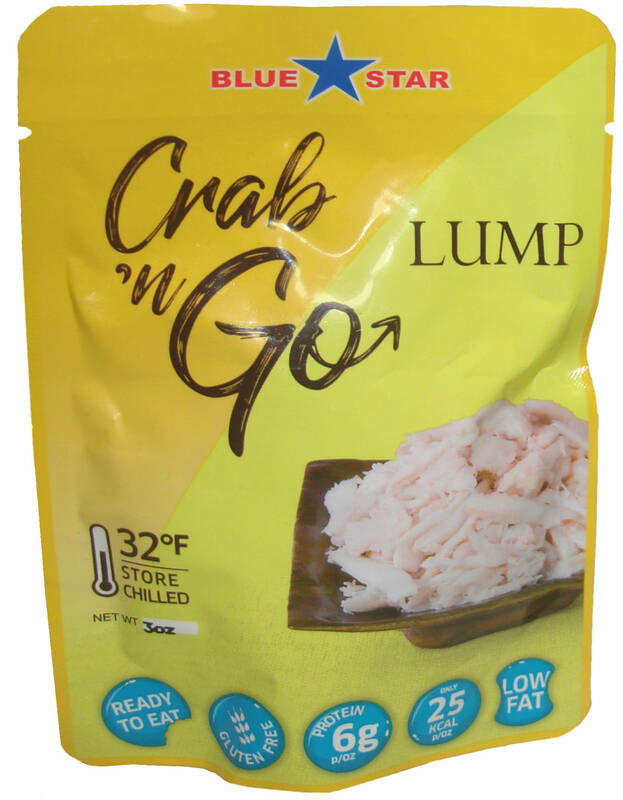 The company has released a 4 oz “Crab N Go” & “Shrimp N Go” product offering which utilizes Blue Star’s patented Eco-Fresh Pasteurized Foil Pouch technology. With a shelf life of about one year and providing a fresher and better tasting crab meat versus traditional aluminum cans, the potential is tremendous. John Keeler, CEO/CSO said: The population is moving at a fast pace, we are on the go, and there is a significant movement of health-conscious consumers especially millennials that seek out healthy snacks and meal alternatives. Airport kiosks/QSR/Fast Food Chains/Family Dining Chains/Vending/C-Store’s/Retail Supermarkets or any outlet a consumer buys a meal or snack is a potential target for GNG. Low fat, healthy options that offer protein-packed Nutritionals is a growing trend for all demographics, especially millennials. We look for ways to connect with our customers as they ultimately buy our product. Market research, technology, innovation and the ability to offer a product that is a delicious and healthy premium seafood offering that is ready to eat will help our business model see success in the future. And it doesn’t stop in the US, globally the Grab and Go (GnG) vertical has been booming since around 2013, Nielsen’s reporting illustrates that the GnG breakfast category was one of the majority growth leaders for 2016. Food service, retail, and all outlets with food options for sale are an opportunity for GnG, especially protein-rich premium seafood. Blue Star will also incorporate QR code-enabled technology into their GnG premium seafood offering. With a QR code on the 4 oz pouch, the consumer can scan the QR code, and all of the details on that pouch of premium seafood are displayed. Harvester to plate verifiable traceability zeros in on millennial buying cues within product “responsibility” which often influences this sought-after demographic’s purchasing decisions. Blue Star Foods, A leader in Pasteurized Blue Swimming Crab, announced today the appointment of Josette Emlen Genio as Sustainability Manager for all Blue Star and affiliated entities in the Philippines. 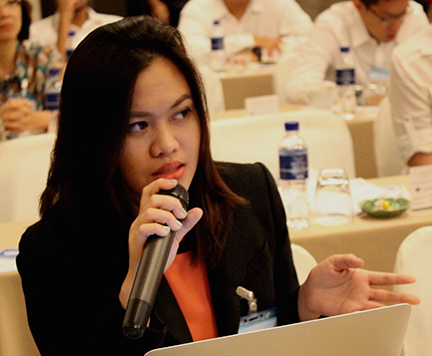 Josette will lead Blue Star’s sustainability and traceability initiatives for the Philippines. Josette, formerly Program Director and Fisheries Manager of the Philippine Association of Crab Processors Inc. has held these and other relevant positions within fisheries science and management space. She is a graduate of the University of the Philippines and holds Master of Science in Fisheries – Aquaculture. Blue Star Foods was the first innovator to revolutionize the crab industry with its Eco-Fresh pouches, significantly reducing the number of recycled materials entering the earth and substantially reducing its carbon footprint. 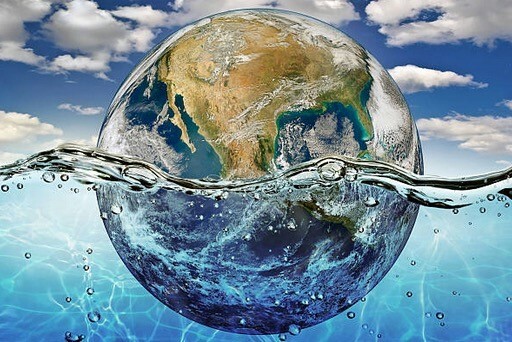 The (3BL) business model approach is one that has been gaining considerable momentum over the years within hundreds of multinational corporations, providing a better path to business responsibility, sustainability, and traceability. 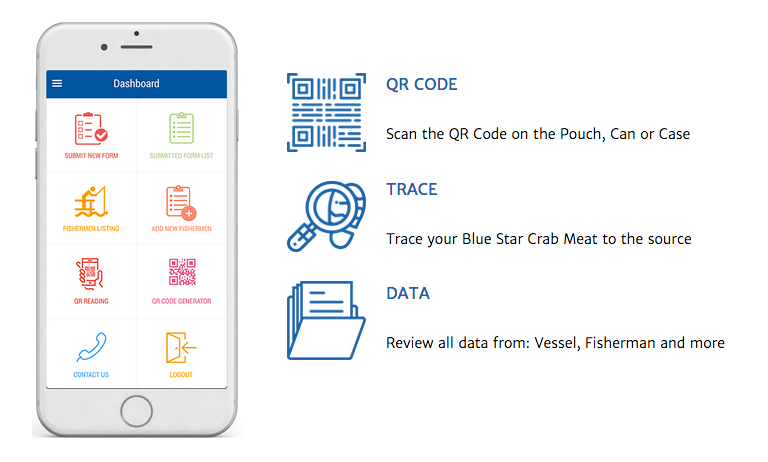 February of 2018 marks the one-year anniversary of Blue Star Food’s introduction of the first-ever “scan on demand” QR code-enabled verifiable traceability application for seafood. Blue Star Foods, a crab processing sales, and marketing import organization has a global footprint in Retail and food service. Blue Swimming Crab (Portunus Pelagicus) is a wild caught species and a relevant category for some companies that import, market, sell, distribute and feature crabmeat on their menu or in their retail cases. Wild stocks from Asia have been severely depleted because of decades of intense fishing coupled with the lack of management of the fishery. However, a positive outlook for Blue Swimming Crab is emerging through technology, fueled by data and connected with API’s. Taking this application further, it promises full scalability for any sustainable fishery initiative, wild farmed or aquaculture initiative. As the largest consumer demographic in US history, Millennial’s are the most outspoken and responsibility centric demographic realized in the US. With a population of 76M+, millennials will continue to be a demand demographic for all food products that are sold in the US and globally. Blue Star Foods, founded in 1995 by John Keeler has been the founder, co-founder and willing participant of several FIP (Fishery Improvement Projects) on a multinational scale. The Scan-On-Demand App is a milestone of progress and shows Blue Star’s dedication to their improvement initiatives within the Blue Swimming Crab Species. Blue Star’s QR code-enabled Eco-Fresh Pouch is providing verifiable traceability to the consumer in “green” retail ready responsible packaging.